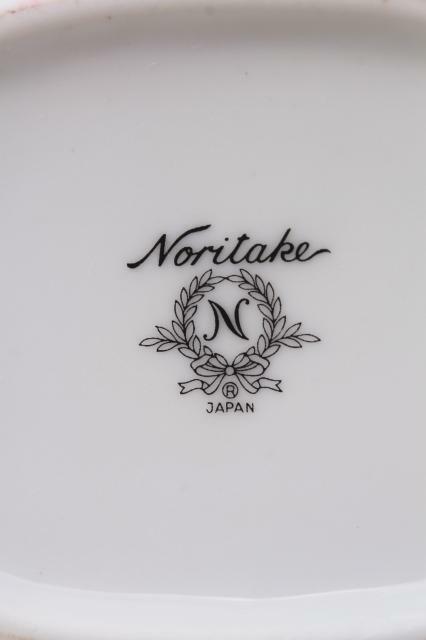 70s vintage Noritake china tea set brought into the US from a trip to Japan, this was a tea set for the Japanese market. 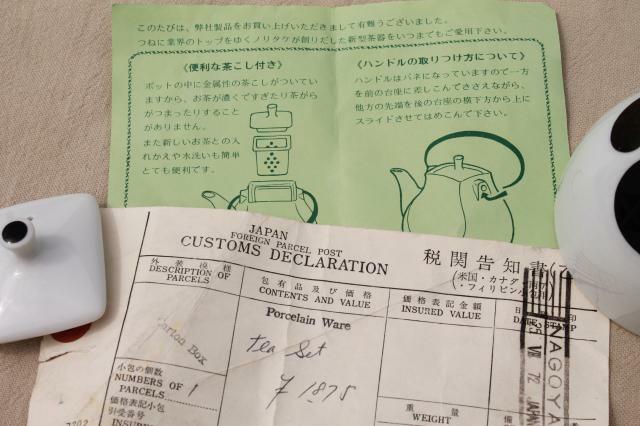 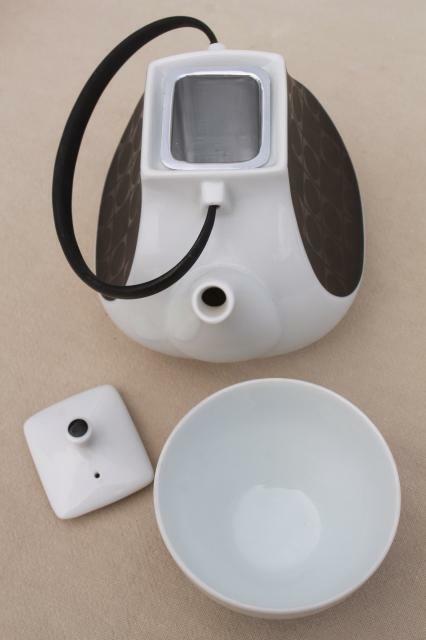 The customs label is still tucked inside the tea pot! 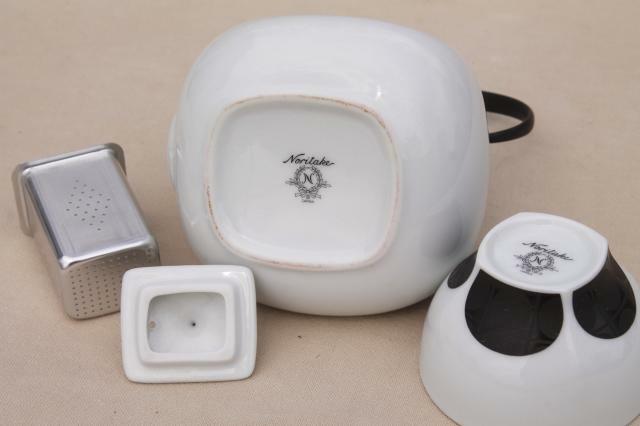 It's all in excellent condition, never used. 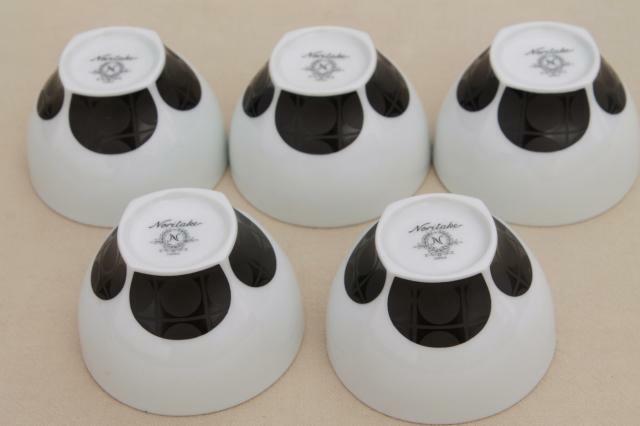 There's no pattern name marked on these pieces, and we haven't been able to find a name for this design. 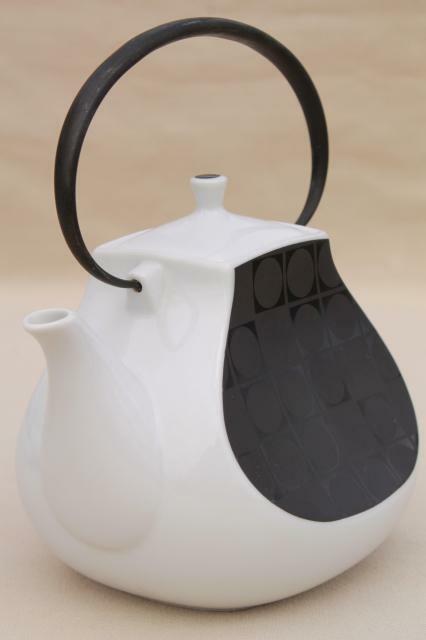 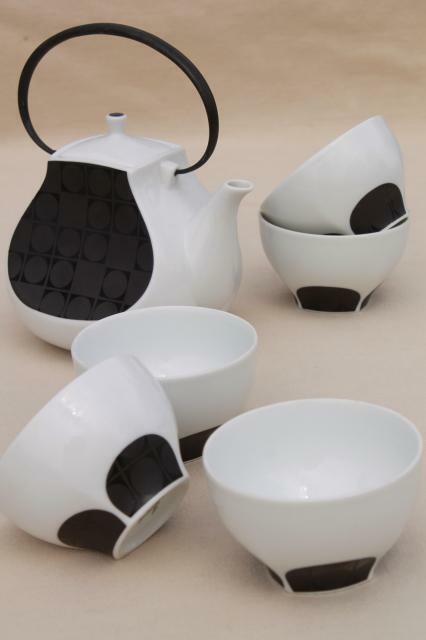 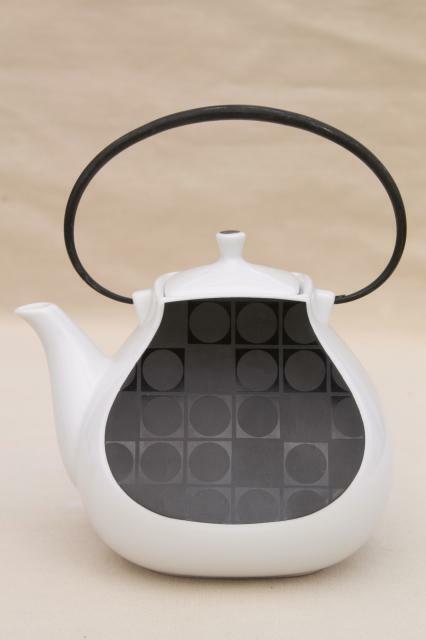 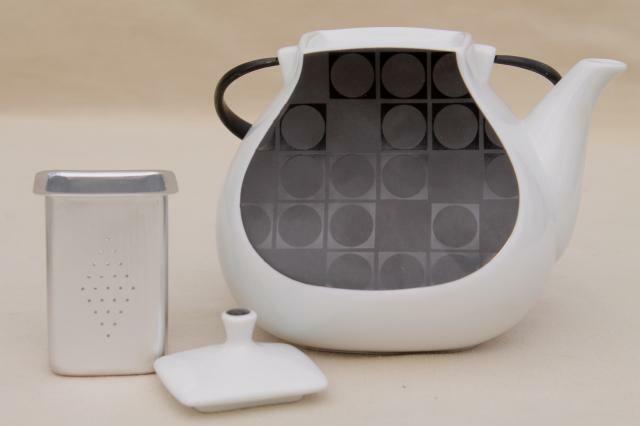 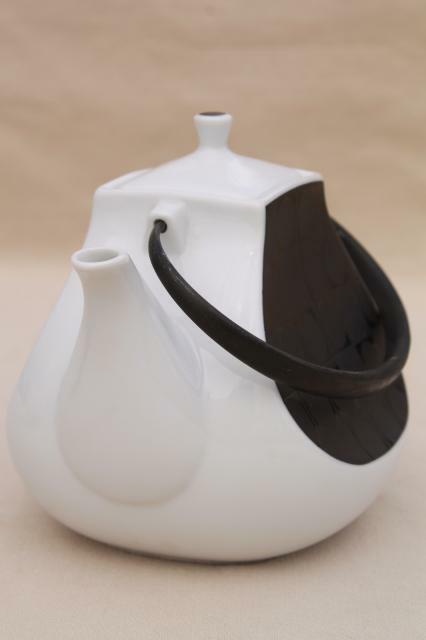 It's a very mod shape, pure white porcelain with dots grid design in matte and glossy black. 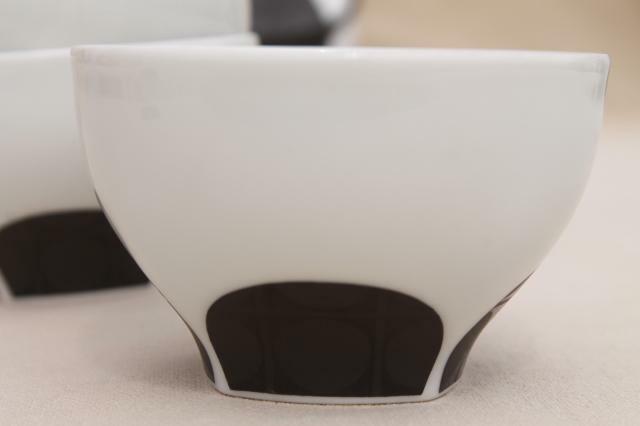 There's five handle-less tea cups or tea bowls with this set, measuring 3 1/4" in diameter. 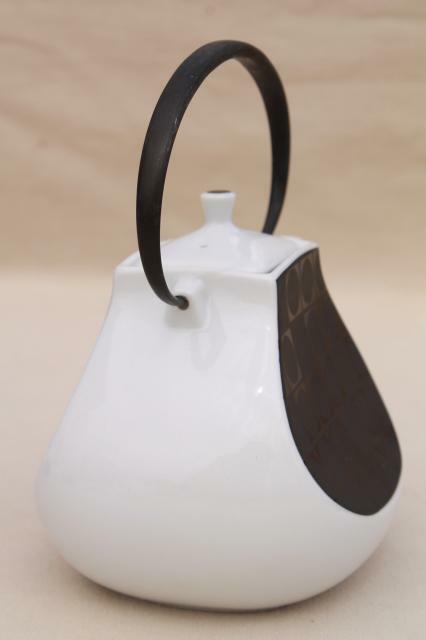 The teapot has a metal strainer basket insert, and measures about 5" tall not including the handle.